What Unusual Geocaches will Engage the Mind the Most? What are the characteristics and conundrums that make for the most unusual geocaching sites around the world to challenge your skills? In this article, you’ll learn about the mental factors, and then we will tackle the physical aspects. Three outstanding geocaching locales in the U.S. will follow. The most challenging geocaching sites can be challenging for different reasons depending upon the definition of what a person deems ‘challenging.’ This article intends to clarify the several different ways that geocaching can be made much more challenging in order that expectations of difficulty and the actual conditions that correspond to those expectations might be more aligned. 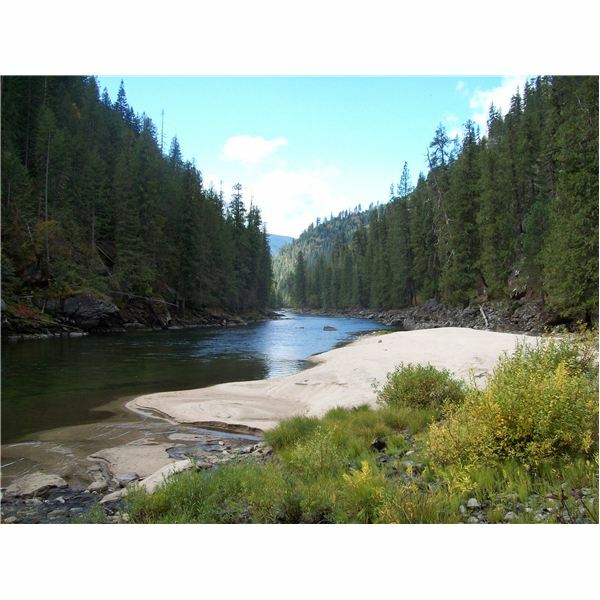 This article series will then go on to highlight specific sites in the United States such as the stunning Sunriver area of Oregon, Montana and Idaho. Those places will have opportunities that have the demanding criteria outlined here. What we’ll be referring to are not your typical “park and grab" or “cache and dash" operations that are just too easy for the hard-chargers reading this. Essentially, the challenging aspects of locating a cache can be broken down into two categories; difficult to decipher mentally and hard to get to physically. Wolves are perhaps the original geocachers. They bury caches of foods and use their inborn GPS and sense of smell to locate their own stashes and those of other wolves. Fortunately, humans have progressed from mere survival to recreation to hobbies that utilize the assistance of outer space guidance paraphernalia. Now this popular outdoor activity enables enthusiasts to enjoy the benefits of wandering under a gleaming blue sky which benefits a person both mentally and physically. And who knows, they might even find something else in the natural world that they didn’t even know they were looking for. First off, we’ll begin with the geocaching set who are looking for more of a mental challenge. More basic tenants of geocaching have already been covered in other articles on this channel so we’re assuming here that you know when you’re given coordinates on a geocaching website, that location isn’t necessarily exactly where the cache is. Clues and mysteries are employed to make it hard to locate the right spot. Puzzles and ciphers make it more difficult for participants to decipher in order to either convert to the right coordinates or unlock the next location of a geocache. Sometimes you have to follow a proverbial trail of bread crumbs for the multi-geocaches you’re strung along for in a series similar to the older and similar game called letterboxing. Smaller caches that are known as microcaches and kept typically in a small film container will also be harder to find (nano-caches are even smaller than that). Stashes can be very well camouflaged and concealed too. A prize might even be hidden in a pine cone hanging from a tree. Anagrams, trivia questions, riddles, encryptions, and numerical conundrums are all examples of the puzzles that the most challenging geocache sites might have to solve in order to locate the typical ammo box that houses the prize (and the logbook which might be annotated in order to prove you actually found it) at the right coordinates. 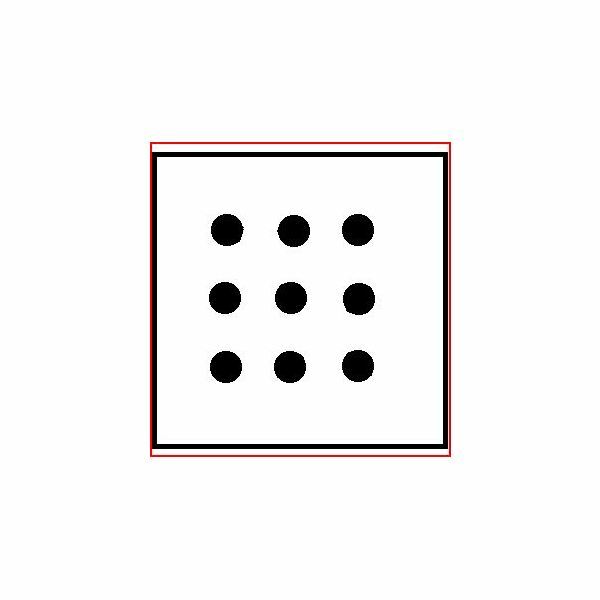 An example is the 9 dotted image to the left where you're instructed to connect all the dots using four straight lines. 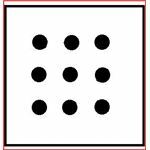 You might be sent to a sign or a plaque with coordinate numbers you’ll need to move on to the next geocaching stage of your journey. When you're stuck you can use a geocache hint decoder which you can find on websites dedicated to this hobby. So that is the first factor, using your intellectual capacities to solve puzzles which in some way lead you to the geocache you’re attempting to find. Making a Geocache Puzzle will shed some more light on solving different kinds of “riddles". Incidentally, a rating system some websites use give a numerical value to this first factor from 1 to 5 in .5 increments with one being the easiest. Then the second factor, the level of difficulty involved in physically locating the geocache, utilizes the same 1 to 5 scale. For instance, the easiest geocache will be designated 1/1 and the hardest a 5/5. Substitute the numbers for stars and you have the rating system the most popular website for this activity, geocaching.com, uses to designate each site. In later articles in this series I will guide you to the best resources for geocaching in a given area and you can then choose how difficult you want to make this task for you. The next article shows you just how hard you may have to work your body to get to a geocache.